Come 2 January, we will see rail fares increase on average by 3.4% and so those moving within the London commuter belt will be thinking very carefully about where their next home is situated. For many location is key. With poor rail services making headlines across 2017, it isn’t all about the average house price however. Many London commuters will have first-hand experience of train delays, engineering works and strikes, and so will also be reviewing the length, quality, cost of their commute and whether they can get a seat on the train in the morning. Following an analysis of a host of considerations, including annual house price growth, train reliability and speed of journey, our latest research reveals Luton in Bedfordshire as the ‘number one’ commuter location. 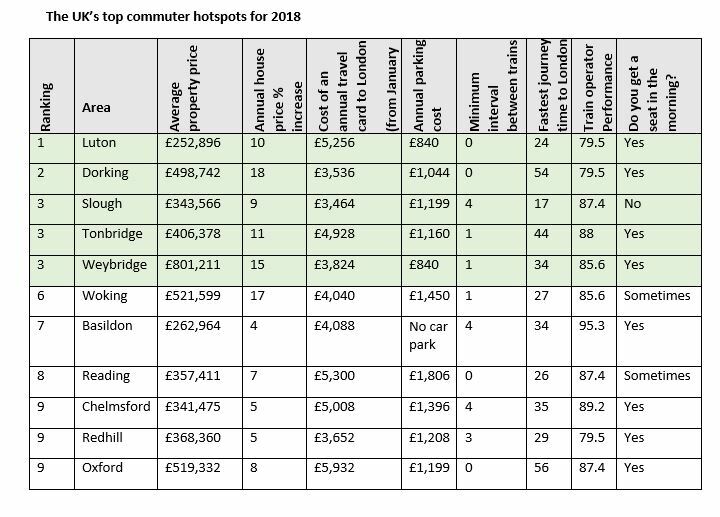 Dorking in Surrey came second with a comparatively low season ticket cost and exceptional annual house price growth, while Slough, Tonbridge and Weybridge all occupied a busy joint third place. 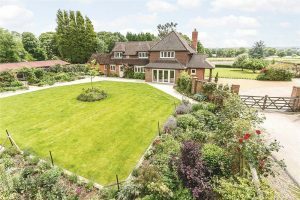 Springfield Farm is a beautiful six bedroom family home available for £2,250,000 through our Dorking branch. Despite winning the unflattering title of ‘worst place to live in the UK’ by Reddit users last year, Luton has beaten the odds and proved its critics wrong. House prices in the town have increased 10% annually, well above the national average, and the equivalent of nearly £23,000 – an equity increase which covers the cost of the annual train season ticket from Luton to London more than fourfold. The Bedfordshire town benefits from fast and frequent trains into the heart of London St Pancras, with the fastest trains taking just 24 minutes. The town is also set for further expansion with £1.5 billion of inward investment promised over the next couple of years, including a £110 million investment into London Luton Airport and £300 million into nearby mixed use development Napier Gateway. These ongoing projects are expected to create 18,500 new job opportunities in Luton, and a high demand for new homes. Despite its country setting, Dorking also provides commuters with transportation into London stations in around an hour, with the quickest journey into London Waterloo during peak times taking 51 minutes. Many of the trains originate at Dorking Main, meaning commuters are almost always guaranteed a seat and many can be seen with their laptops and tablets out, delving into their emails and work for the day ahead before they hit the office.